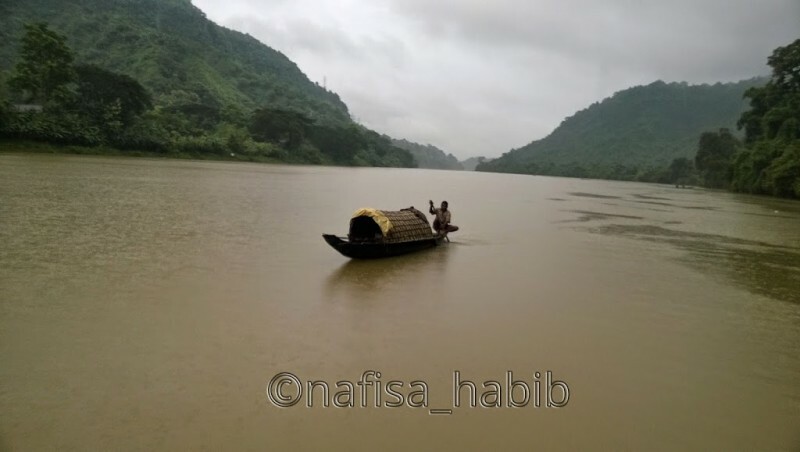 You are in Kaptai and not exploring the beauty of the Karnaphuli River, it is impossible. And so we (Me and my friend) decided to stay very near to that river where the Panorama Zoom Restaurant/ Zoom Restora located. 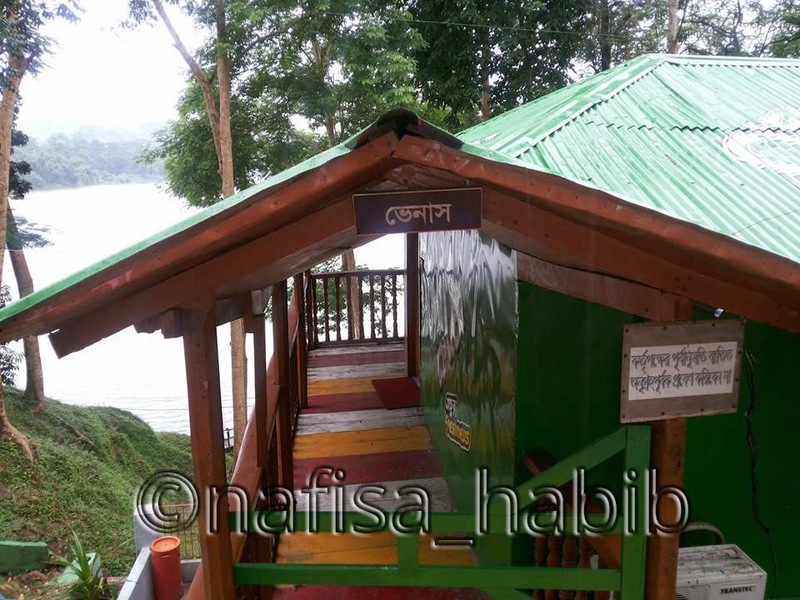 This restaurant is run and managed by BGB and here are some beautiful wooden cottages to stay, very secure and scenic, located on the Chittagong-Kaptai Road. There is a separate picnic spot as well for the tourists. Panorama Zoom restaurant is on the 2nd floor. This restaurant is well decorated with wood and other natural materials got wooden stairs as well. 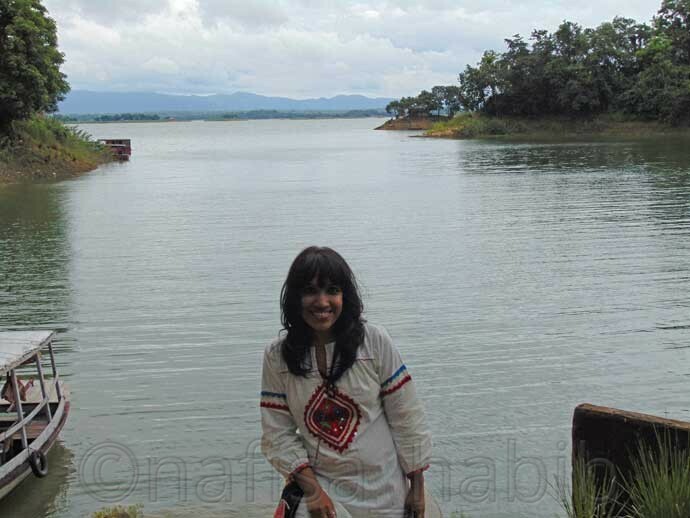 While eating enjoyed the panoramic view of the river Karnaphuli too. Outside it was raining because of the Rainy Season. Oh, what an amazing beauty it was!!! It was just thrilling to explore something new and something beautiful. We reached this resort by afternoon (August 15, 2014) where we booked already Venus Cottage for two days. Had lunch with Deshi/Bengali Menu (Plain Rice with Rui Fish Curry, veggies and many other items). The food taste was yummy cooked inside the restaurant itself and later came to know that big size Rui fish caught from the Karnaphuli river, this is something can’t imagine staying at Dhaka. 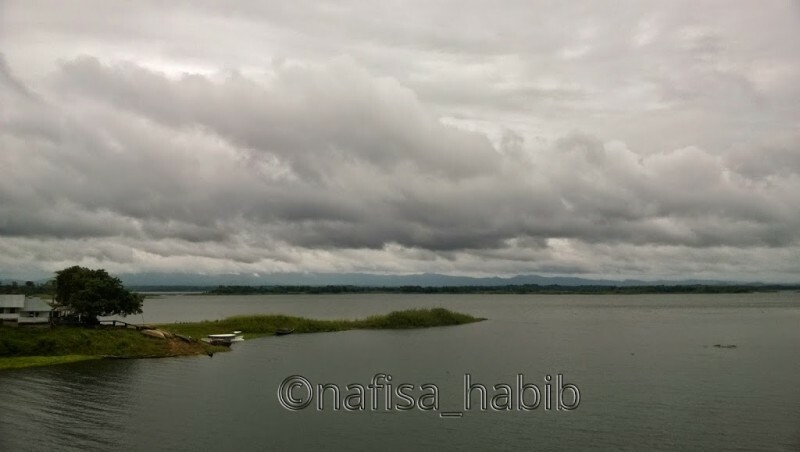 Next day (August 16, 2014) we came out to explore Bangladesh in the Kaptai Upazila. We visited Kaptai Lake, Kaptai Dam and Karnaphuli Hydroelectric Power Station in Kaptai and the Hanging Bridge in Rangamati. 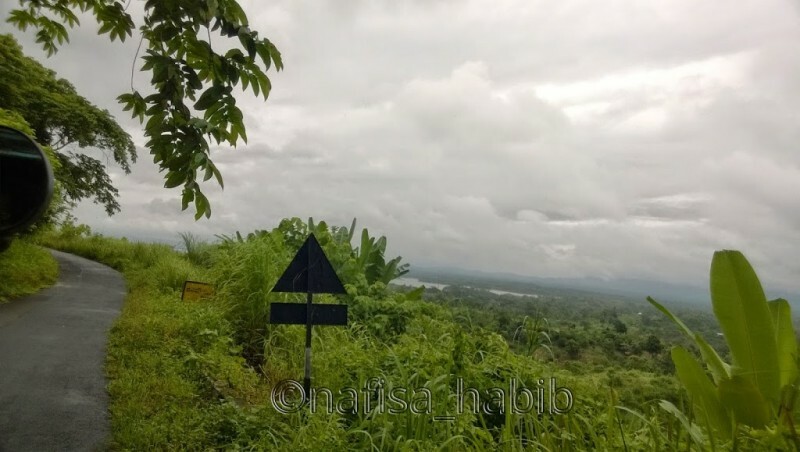 I really loved hilly roads and all natural view on the way to our next destination, Rangamati. Some other attractive tourist spots here are Kaptai National Park, Karnaphuli Paper Mill, Rajban Bihar Pagoda and Shubhalang Waterfall. 5 Are You On Pinterest? 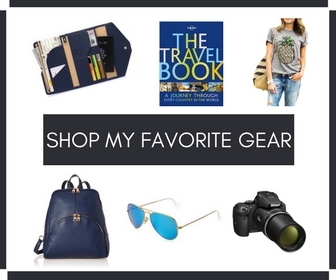 Click To Save For Later Read! 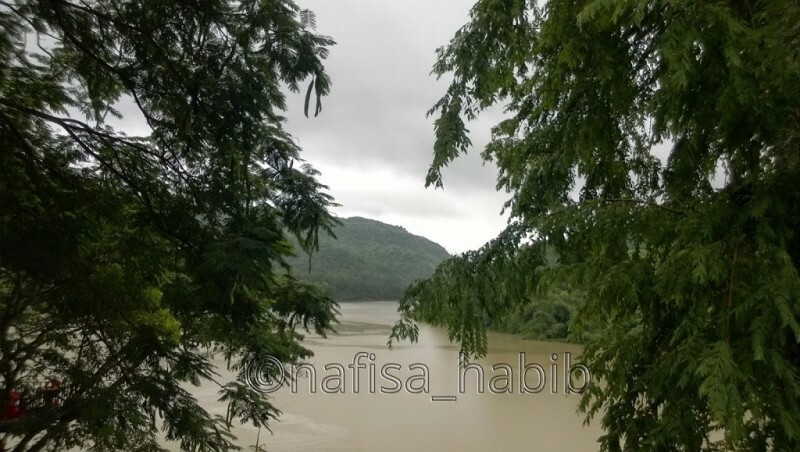 This largest river is not only increasing the beauty among tourists but also playing a very important role for Chittagong division and the Hill Tracts. 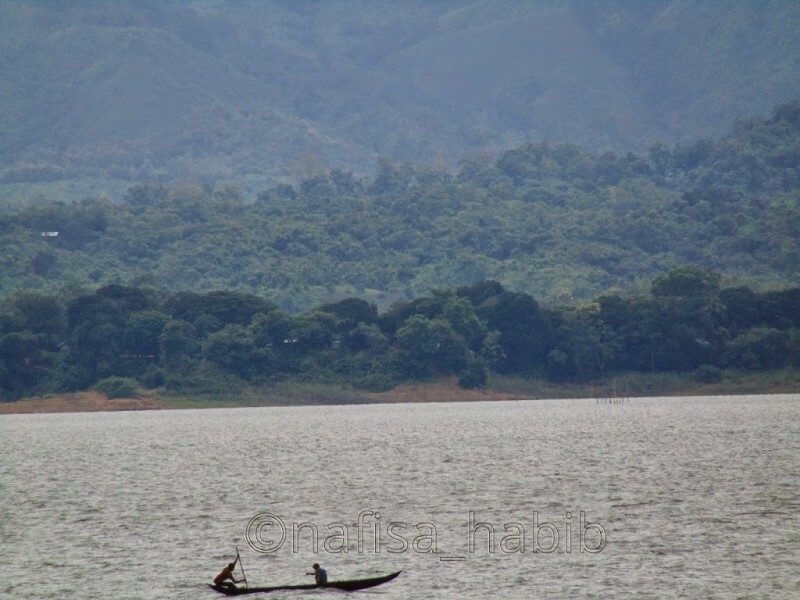 The Karnaphuli river is the main source for the Kaptai Dam, it built upon this river. This dam got 16 gates with 2,200 ft long and 150 ft wide. The calm view of this river from the Karnaphuli Bridge was amazingly beautiful. 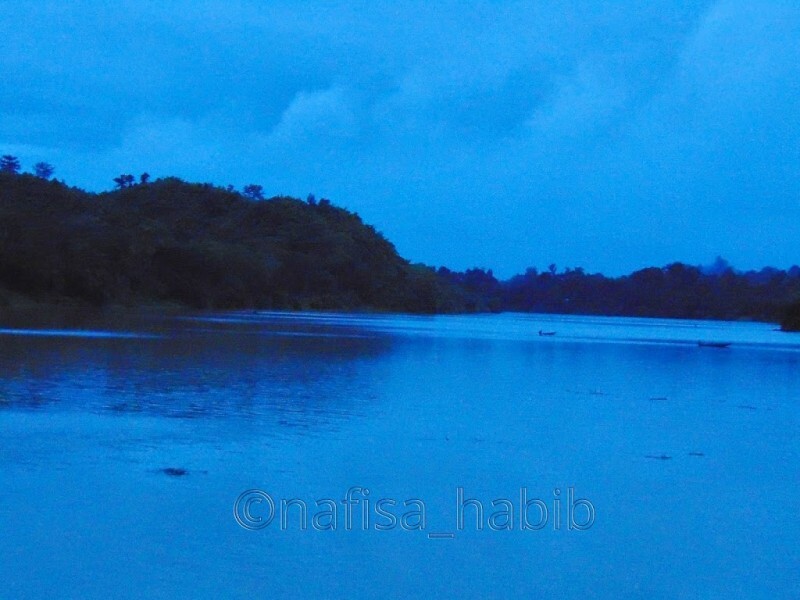 I didn’t want to miss the chance to take some snaps of this beautiful river during our visit to Rangamati. 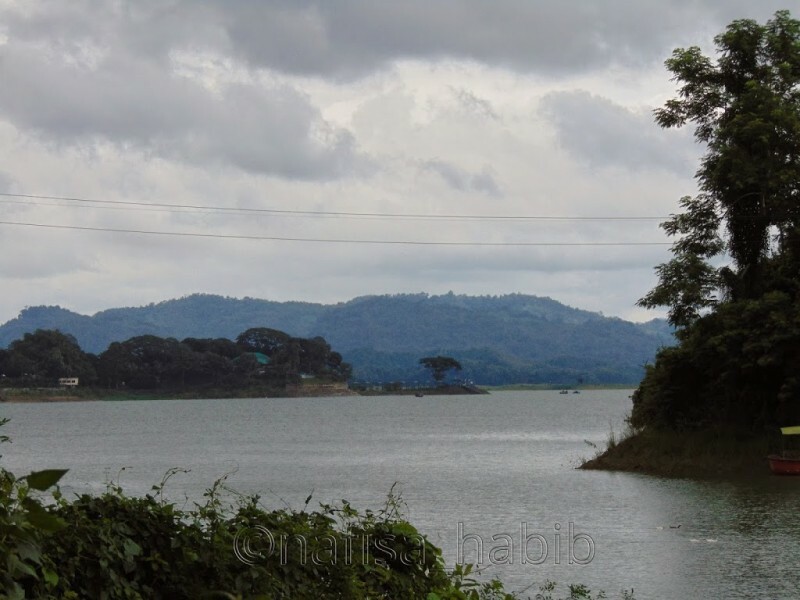 During the build-up of the Kaptai Dam, the reservoir of this dam became Kaptai Lake. 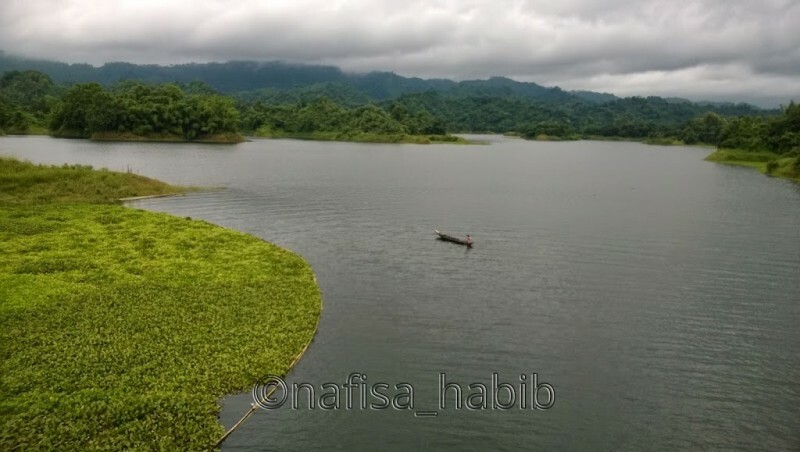 This artificial lake is one of the beautiful and main attractive destinations for all travelers in Kaptai Upazila of the Rangamati District. Mostly tourists enjoy boating here. This lake and the dam were created mainly to produce hydroelectric power or hydroelectricity. This is the only one hydroelectric power station in the South Asian country Bangladesh. This power station built by using the source of the Karnaphuli River water. 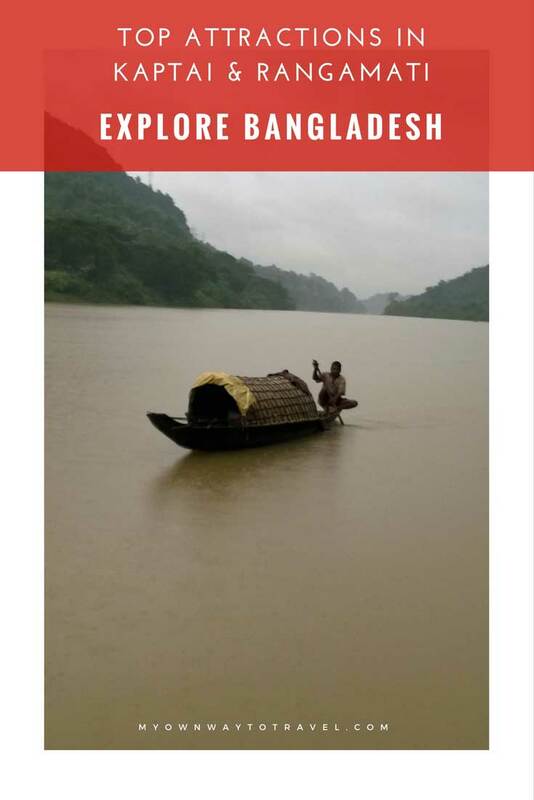 Special permission requires the higher authority to enter inside to visit the beautiful Kaptai Dam and the Hydroelectric Power Plant. Visitors are not allowed photo shooting here. I was extremely happy after visiting this power station. It was an awesome experience for me. 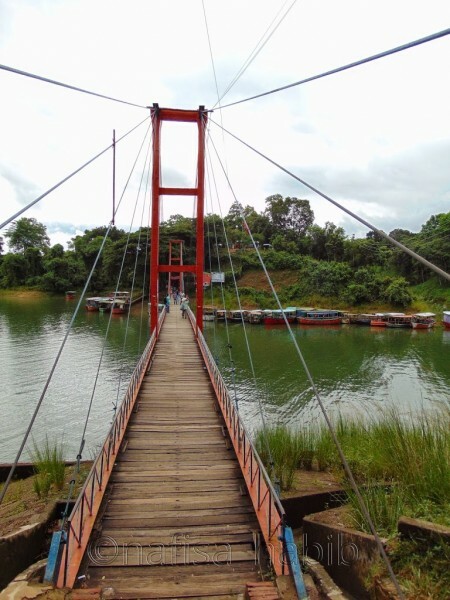 All tourists main attraction in Rangamati is Hanging Bridge which built over the Kaptai Lake. For entry, you have to get the entrance ticket and from here you can hire a boat to visit Shubhalang Waterfall. 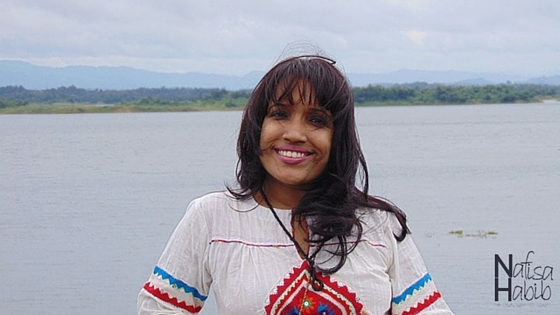 This is one popular restaurant Peda Ting Ting to taste tribal food. Many boating packages are available to enjoy boating here. Tourists do buy many local handicrafts from the tribal shop outside of this spot. We came back to our resort for a while. And afternoon I went for a boating in the Karnaphuli river. I’ve loved the evening walk and the sunset beauty of the riverside from this resort. Furthermore, the amazing calmness, beautiful greeneries, lovely sky with a mountain view is just more than enough to attract any nature lovers. 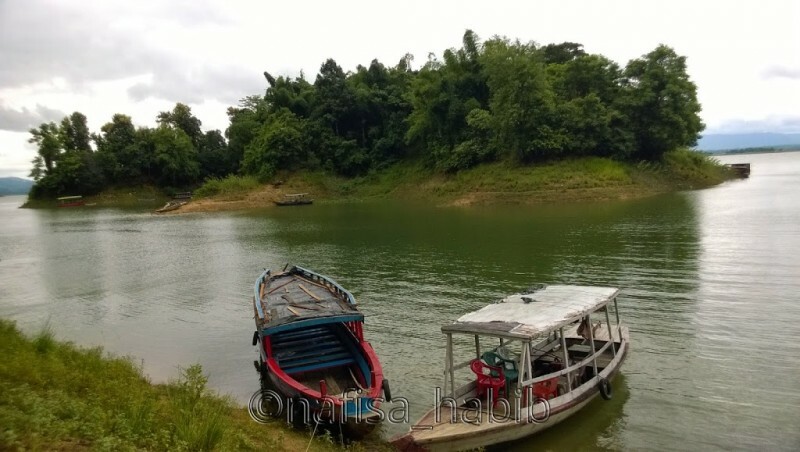 Therefore one should not miss exploring the beautiful Kaptai Upazila and Rangamati District of Bangladesh. 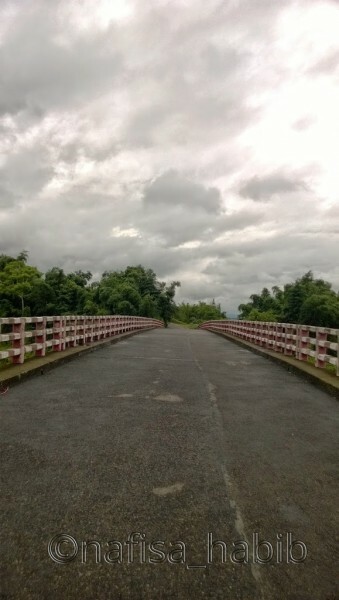 Which attractive tourist spot will you like to explore in Kaptai and Rangamati?